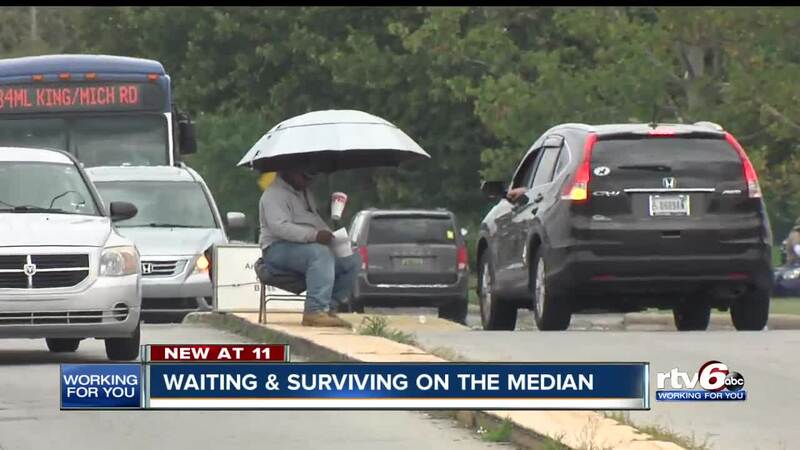 INDIANAPOLIS – An Indianapolis man says he’s taken to the streets to panhandle because his application for disability requires him to wait almost two years for help. Richard Frizzle underwent heart surgery in April 2017 and applied for disability that August. Ten months later, Frizzle is still awaiting approval. With no income and no idea whether he’ll get disability, Frizzle has turned to panhandling. Frizzle puts himself at the mercy of those willing to give him a bit of their spare change. If he chooses to work, even a small amount, he could lose his chance of ever receiving disability benefits. According to the Social Security Administration, 760,000 people nationwide are currently on the wait list for disability. Call 6 Investigates confirmed that Richard Frizzle filled out his paperwork for federal disability benefits on August 8, 2017. But the Chicago office of Social Security Administration says the average wait time for a hearing in Indianapolis is 19 months. The wait times have not dramatically changed since that time. To qualify for the benefit, the medical condition must meet the agency’s definition of a disability, which usually includes being unable to work for at least a year. So Fizzle, and the rest of the 8,800 Hoosiers on that waiting list, continue to wait.